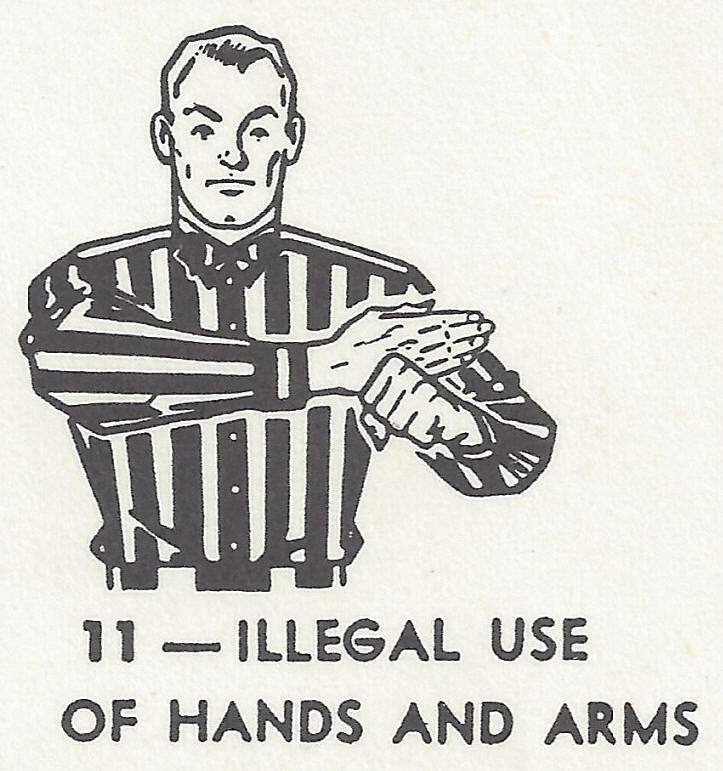 Whether you are just watching the game at home or in the stadium, or want a career in the National Football League with a job as an NFL referee, you should know the hand and arm signals that football referees use. 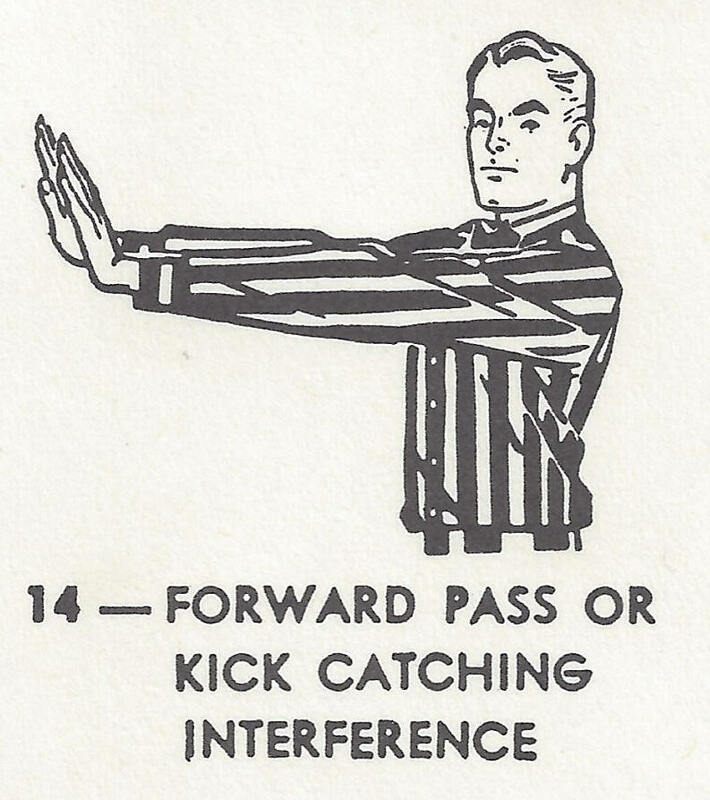 The handy chart below features pictures of the signals every football fan should know. 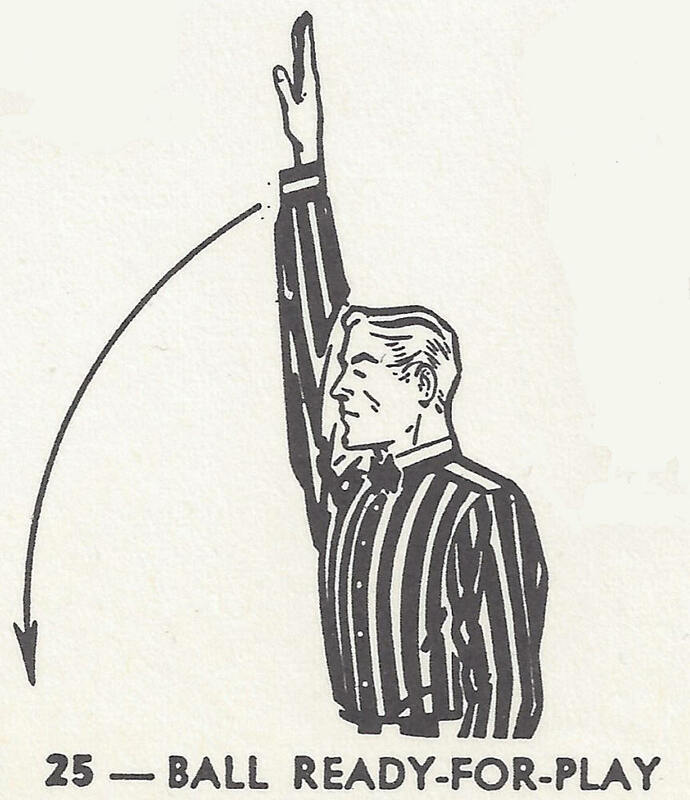 Learn the signals and impress your friends. 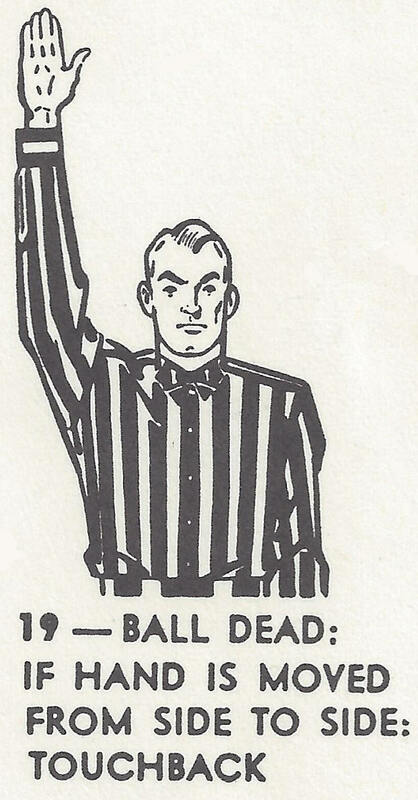 Make the call! 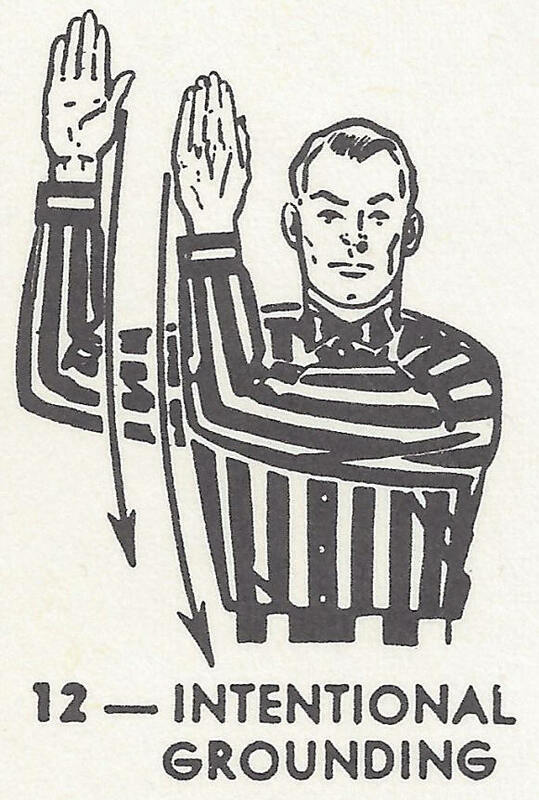 Scroll down to print the PDF of the chart. 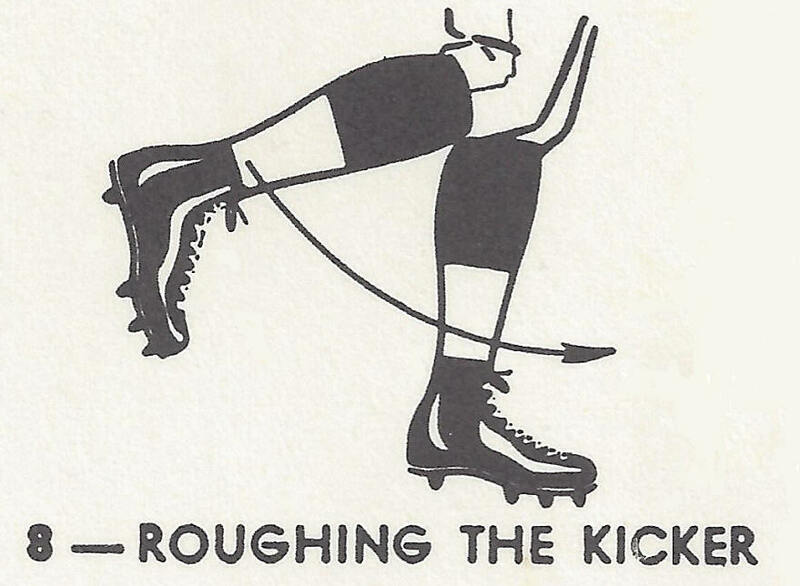 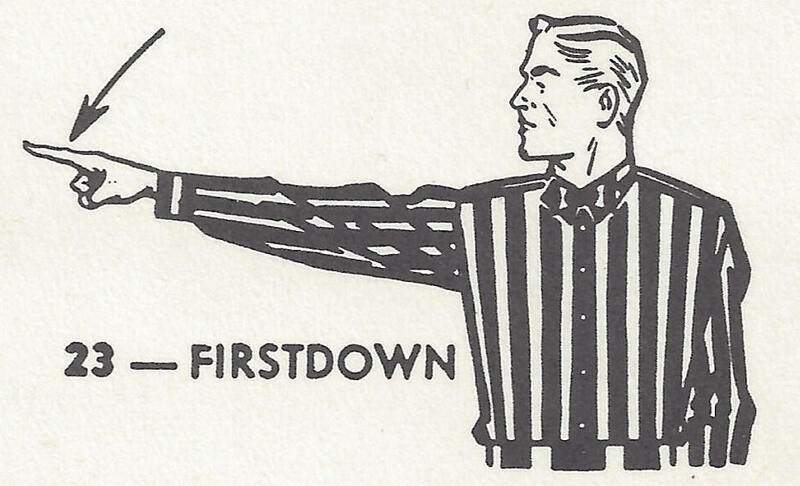 Want to practice calling the plays at the game or even on the football field? 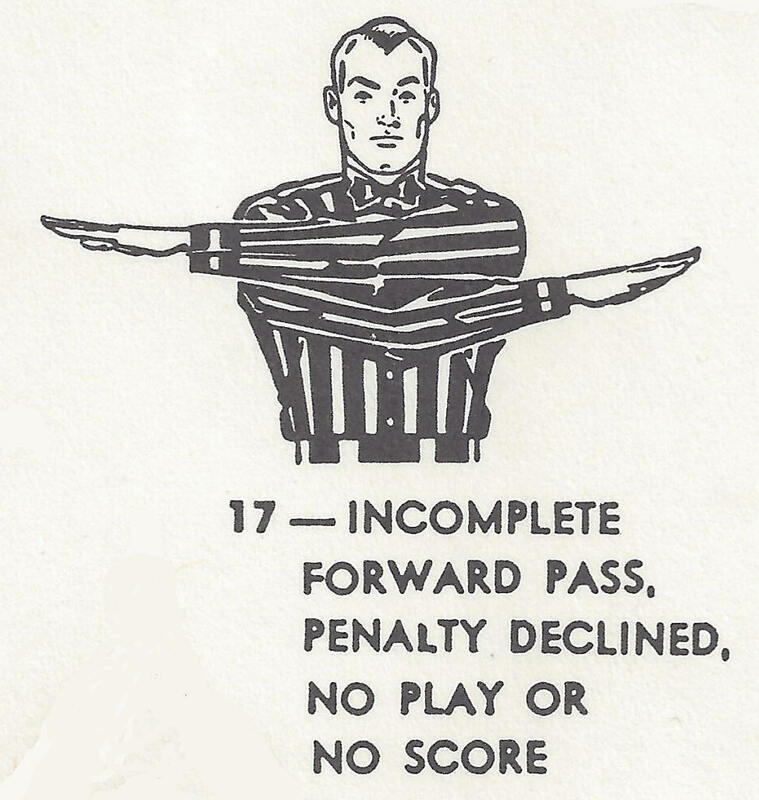 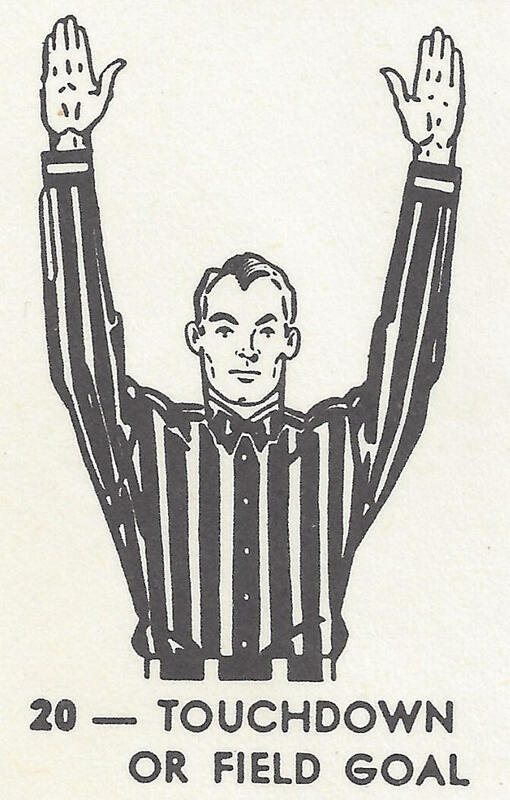 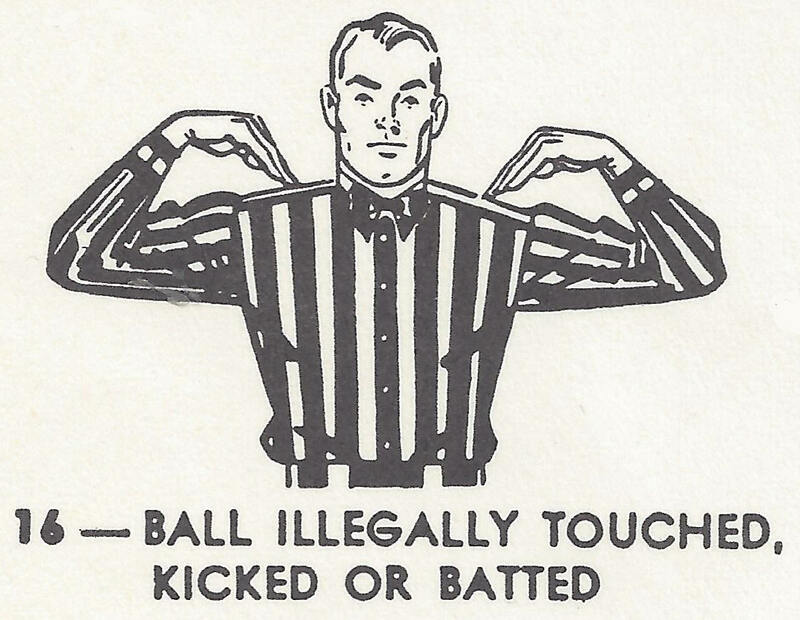 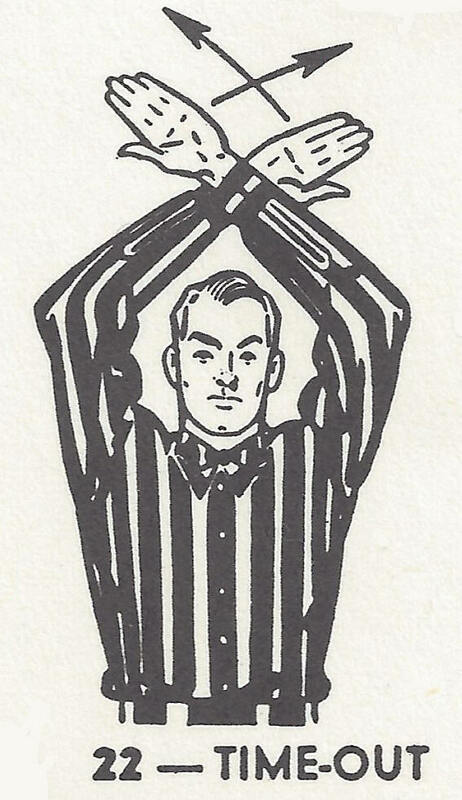 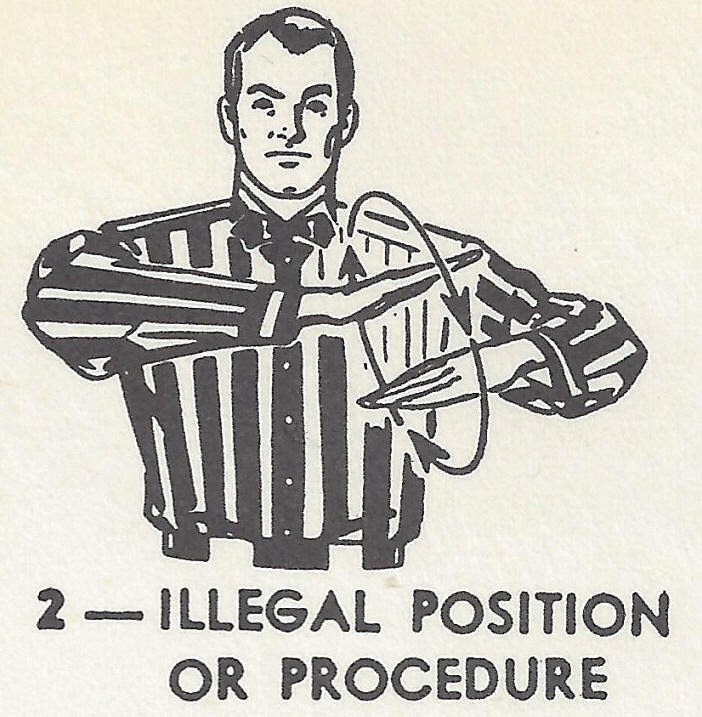 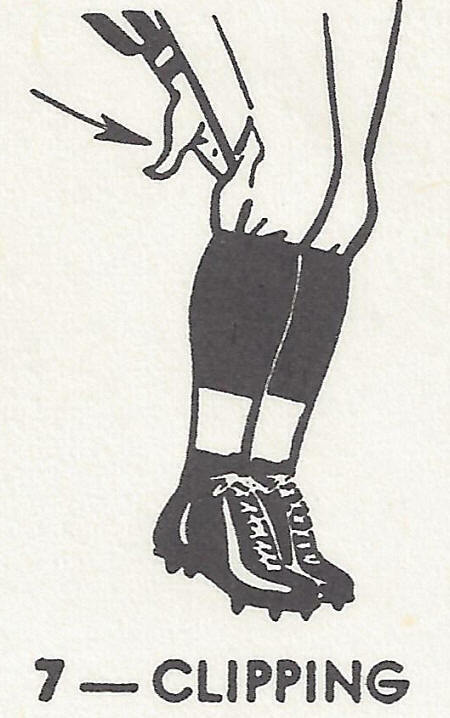 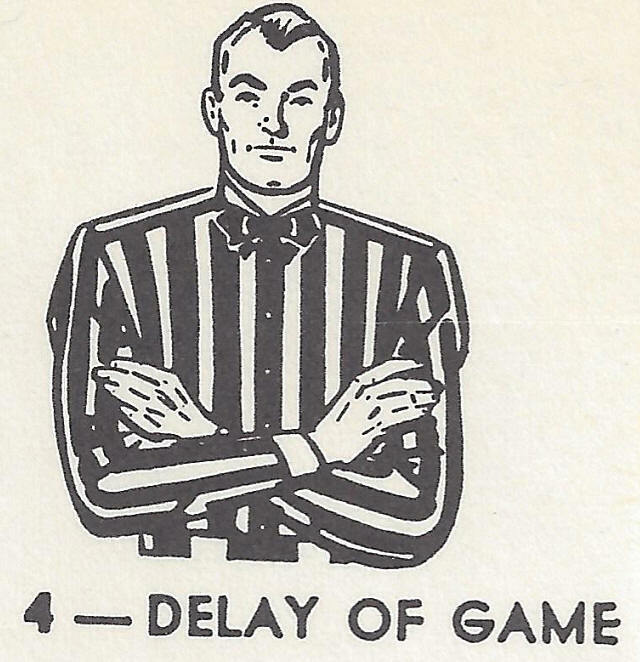 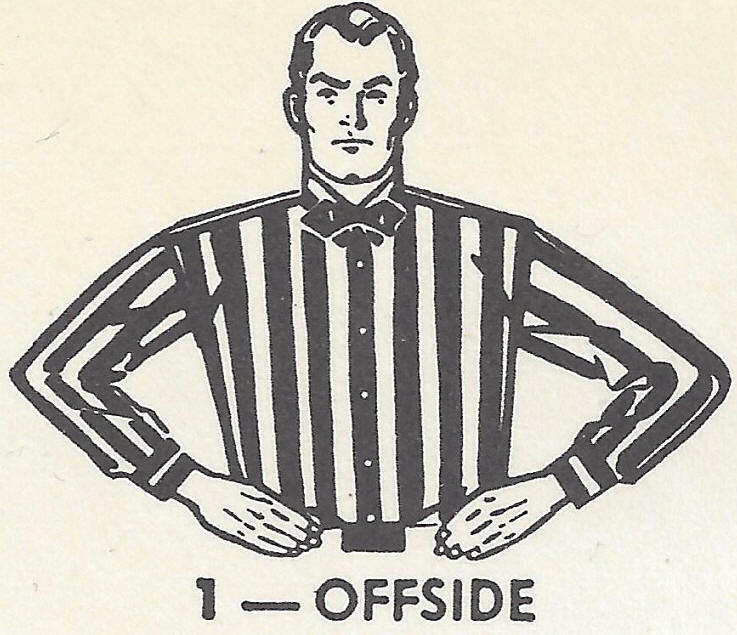 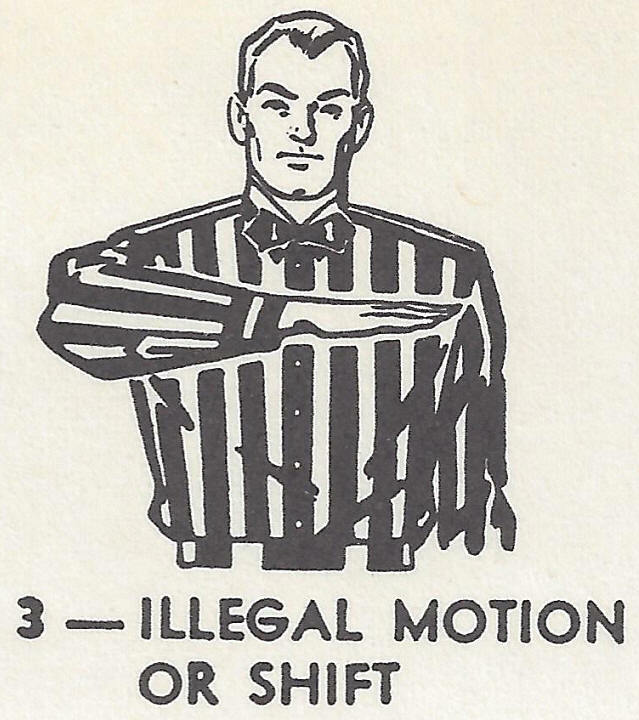 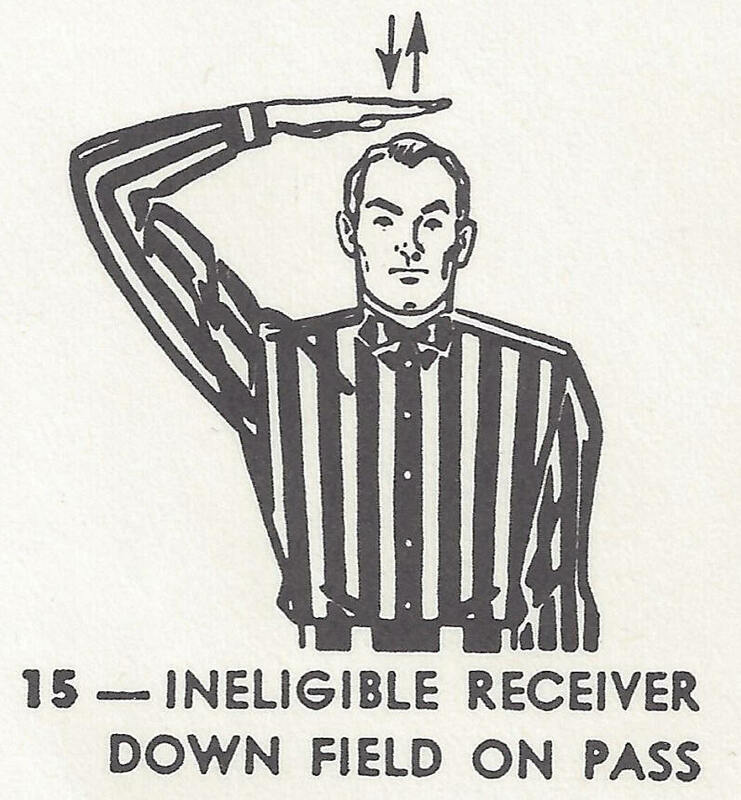 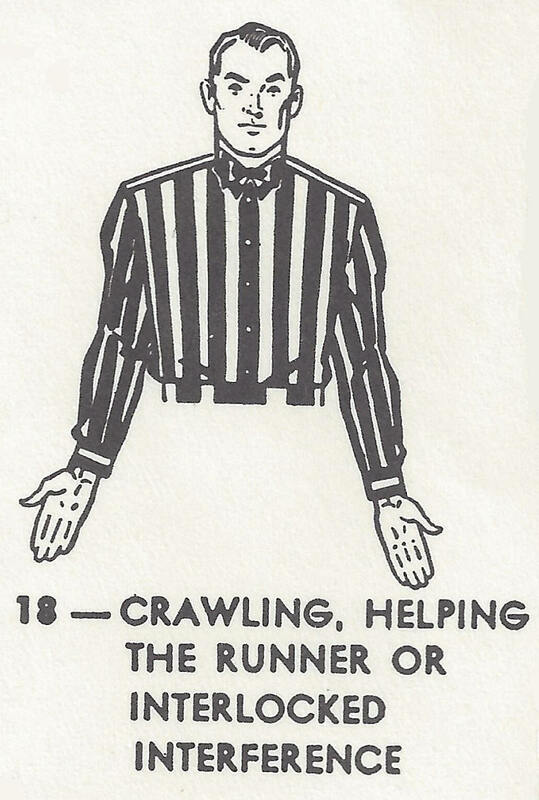 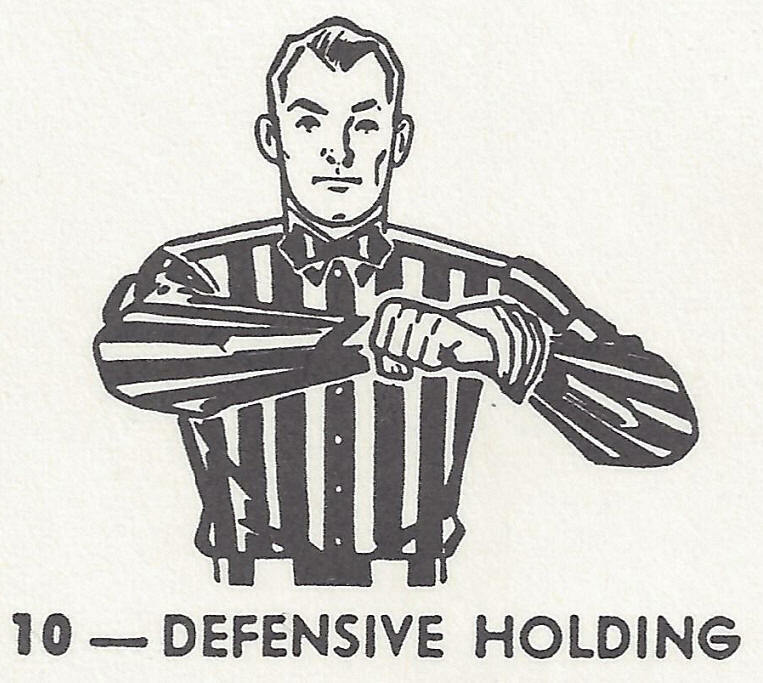 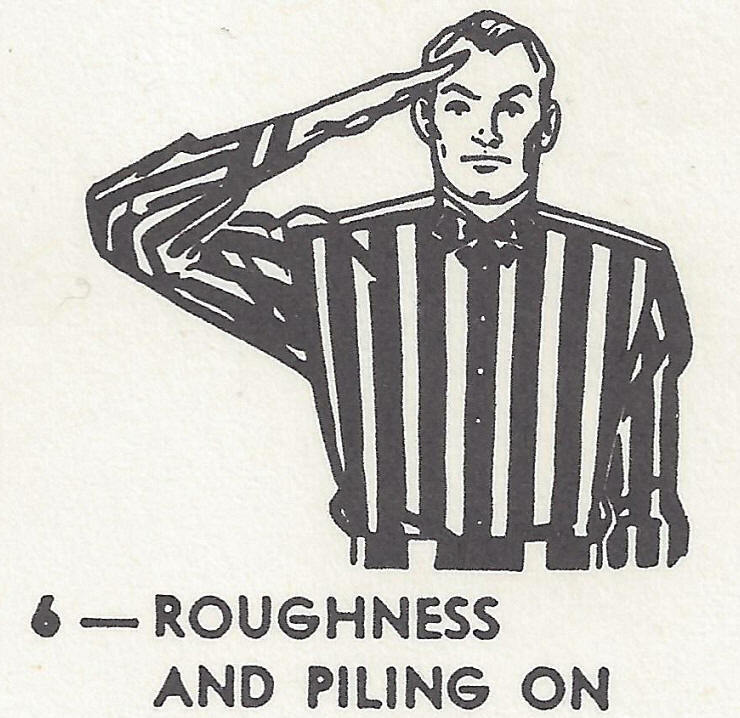 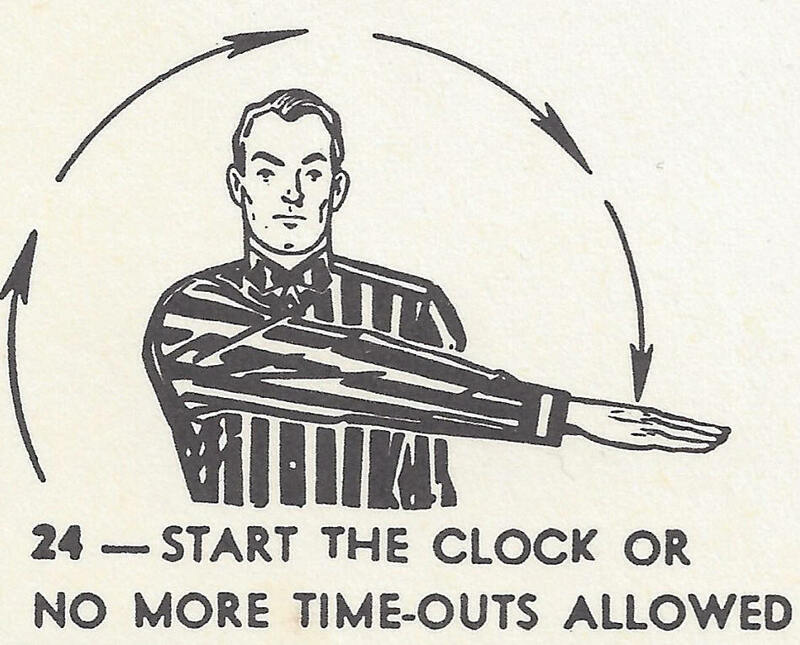 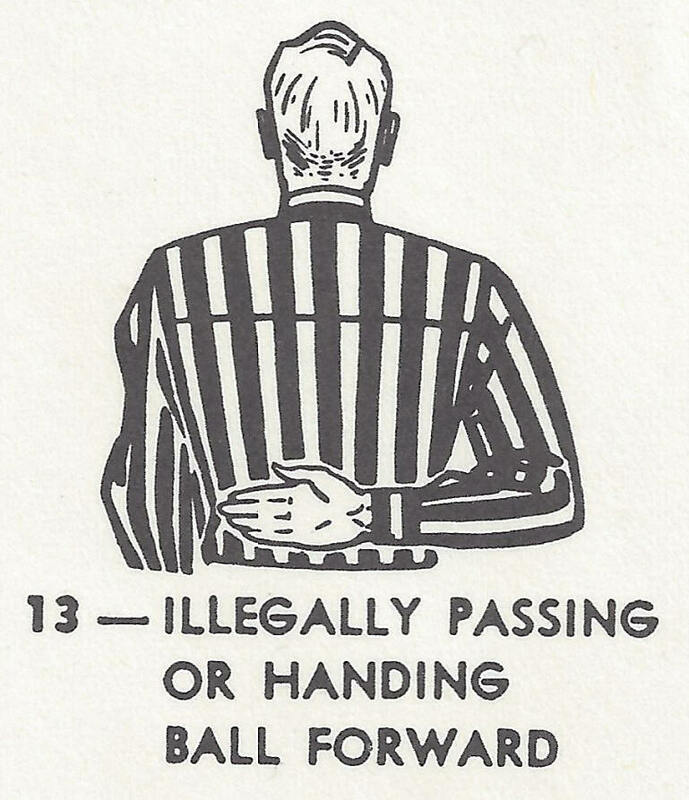 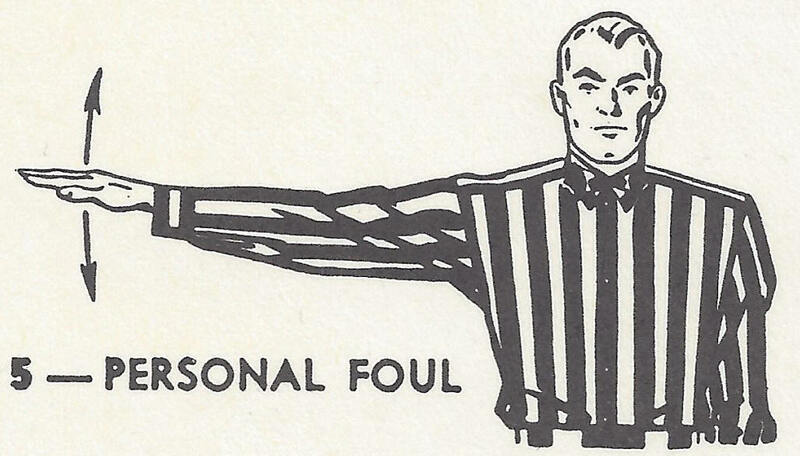 Click here for a printable version of the football referee signals (PDF).